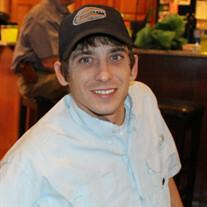 Donald Lee Shadd, a life-long resident of Lake Butler, Florida passed away unexpectedly on Thursday, March 15th, at the age of 36 years. He graduated from Union County High School in 2001. Donald studied Computer Science at the Bradford County Vocational Center, in Starke, FL. He was employed by John L.
was gifted in growing flowering plants and his favorite was a rose. He was an amazing uncle, he played with his nieces and nephews every day and enjoyed teaching them how to play sports, catch a fish and just be a kid.